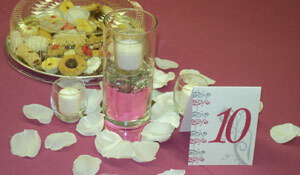 Wedding Catering, Wedding Cakes, Bridal Consultations - Greensburg, Uniontown, Pittsburgh area. Few of life’s celebrations are more important than your wedding. 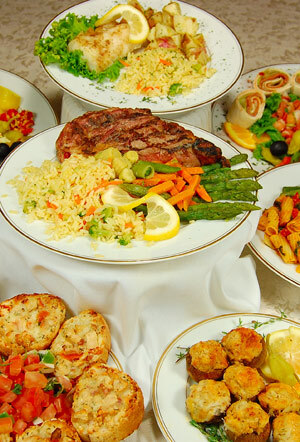 On that most important of days, don’t you deserve a great catering experience? From delightful “made from scratch” foods to white glove service, Court Yard Catering & Specialties delivers the experience your guests will remember the most. At Court Yard Catering & Specialties, we realize the stresses and demands that come with planning your wedding. From Decorating Services to Reception Halls, we can help! Our seasoned professionals have the particular skills and finesse to ensure that your wedding reception becomes a treasured, future memory! Contact us today. Our staff will work with you to create an array of wedding delights, from cake and cookies to an unforgettable feast that best compliments your wedding theme and your budget. Visit our Wedding Menus page to download our menus. Looking for that perfect touch? 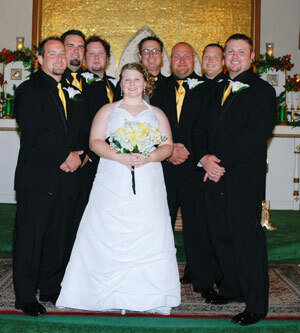 Let us set the right atmosphere for your wedding! Ask about our chocolate fountain, champagne fountain, chair covers and sashes, table runners and overlays, linens, tables, chairs and more. Visit our Wedding Decorating page to learn more. Contact us about our elegant Outdoor Tent weddings, where we can provide everything you need to make your day an unforgettable experience! We promise, no special touch will be missed on your wedding day. 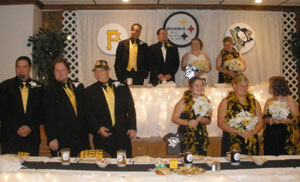 Court Yard Catering serves the greater Pittsburgh area, including all of Westmoreland and Fayette counties. Cities in our service area include, but are not limited to: Carmichaels, Connellsville, Greensburg, Murrysville, New Stanton, Scottdale, Uniontown, Youngwood, and West Leisenring.